Because of the harbours of Amsterdam and IJmuiden and the Dutch naval base, Den Helder, several interesting locations can be found in Noord-Holland. Worth mentioning is the command bunker for the Atlantikwall in the Netherlands which is located in the city of Hilversum. Nearby Muiden, a German radarsite was visited. Extra attention was given to both of the roadblocks of type Walzkörpersperre, which are very rare remains of the German system of obstacles. 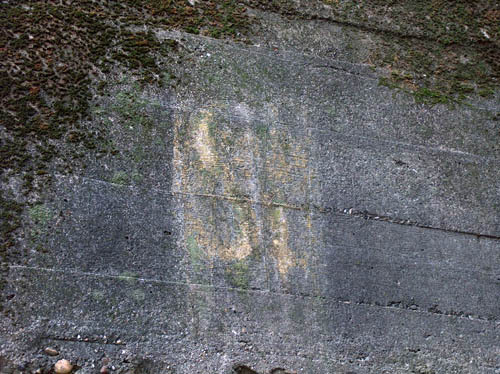 Fading St sign in the IJmuiden region.